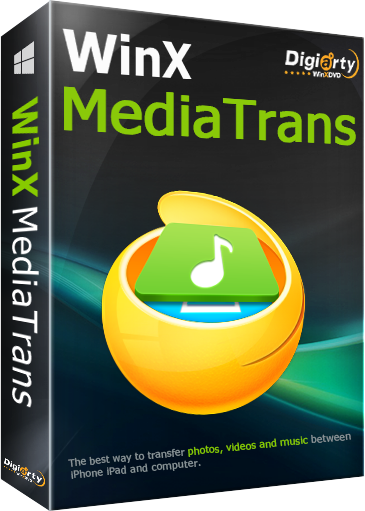 Being an all-purpose video solution, WinX HD Video Converter Deluxe can ideally cope with user’ video enjoyment demands: save online videos from 300+ sites for offline playback; convert videos from camcorders, PC, or downloaded videos into right formats for watching on TV, mobiles, etc. ; trim, crop, merge videos, add subtitle and more. It is also the No.1 fast tool to convert/download 4K UHD, Multitrack HD videos by utilizing Hyper-threading tech, CPU and GPU hardware accelerator. Meanwhile, keep a great balance between high speed and full quality. What's improved in the latest version? Renovated the core of video encoding and decoding mechanism to support the newest movies. Added with 20+ new profiles to fit all epidemic devices, e.g. iPhone X/ 8/8 Plus, Huawei Mate 10. Enhanced the URL analysis engine of online downloader by downloading the dynamic analyzer. Bonus Offer: Giveaway License only lets you activate and use V5.10.0. WinX provides a unique chance for GOTD users to "Gain Lifetime Free Upgrade License" at $19.95. Valid only for 72 hours. 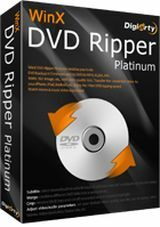 Convert homemade and commercial DVDs to AVI, MP4, H.264, WMV, MOV, FLV, iPhone, iPad, iPod, Apple TV, PSP, all popular Android devices and tablets. 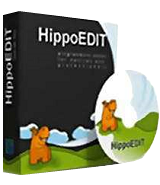 Copy full title/main content of DVD to MPEG2 within 5 minutes. 1:1 clone full DVD disc to ISO image. Continuously updates to support the latest DVD copy protections. Indispensable iPhone/iPad/iPod files manager, transfer and converter. Transfer music, video, eBooks, etc. between iDevice and PC; manage music; export 4K photos/videos to free up more space; auto detect and convert iOS-unsupported videos and music; Create ringtone, manage Voice Memos; use iDevice as USB. 3. Tap "Get Giveaway License" button, you can easily see license code. To guarantee that you can use the full functions of this program, please input your valid email as Licensed Email and activate your Giveaway License before Oct.27. And the version activated by Giveaway License does not support free upgrade. WinX provides 65% off discount for GOTD users only. Purchase now at $19.95 with Lifetime Free Upgrade. The lowest price you can find. Digiarty Support Team, how can we stop the nag screen at program launch for the "upgrade to lifetime full license" offer, it's wearing a bit thin already! I just quickly tried this to see if it offers any speed improvement over the very complete, perfectly free Handbrake, and particularly since Handbrake doesn´t support my AMD gpu, and does not fully utilize my 4 cores/8 threads CPU. 1) Fewer options than Handbrake. 2) No support for AMD either. 3) Even worse, my CPU is hovering around 15%, when Handbrake hovers around 50%, which is making the encoding time not only much longer, but ridiculously long. As of right now, I don´t see the point in using this software at all. I just quickly tried this to see if it offers any speed improvement over the very complete, perfectly free Handbrake, and particularly since Handbrake doesn´t support my AMD gpu, and does not fully utilize my 4 cores/8 threads CPU. And my initial test shows: 1) Fewer options than Handbrake. 2) No support for AMD either. 3) Even worse, my CPU is hovering around 15%, when Handbrake hovers around 50%, which is making the encoding time not only much longer, but ridiculously long. As of right now, I don´t see the point in using this software at all. Cheers. "One more in a crowded field that does not handle .ISO files"
There's really no need for ISOs nowadays, unless you're after a bootable optical disc. Burning apps like the free ImgBurn handle files/folders just fine, as do player apps. If I remember correctly, several years ago you needed a DVD in ISO form to be able to play it in PowerDVD, but that hasn't been true for years. If you've got an ISO, the free DVDFab Virtual Drive works fine, mounting the ISO so you can access the individual files/folders -- if you're running Windows 10 it'll mount them on its own, no need for any added software. warpwiz, <i>"One more in a crowded field that does not handle .ISO files"</i> There's really no need for ISOs nowadays, unless you're after a bootable optical disc. Burning apps like the free ImgBurn handle files/folders just fine, as do player apps. If I remember correctly, several years ago you needed a DVD in ISO form to be able to play it in PowerDVD, but that hasn't been true for years. If you've got an ISO, the free DVDFab Virtual Drive works fine, mounting the ISO so you can access the individual files/folders -- if you're running Windows 10 it'll mount them on its own, no need for any added software. An older (giveaway) version of this is my converter of choice. Speed is reasonable, usability is OK. But honestly, I don't know if it's better or worse than other converters. I'm using it as it is and I'm satisfied.